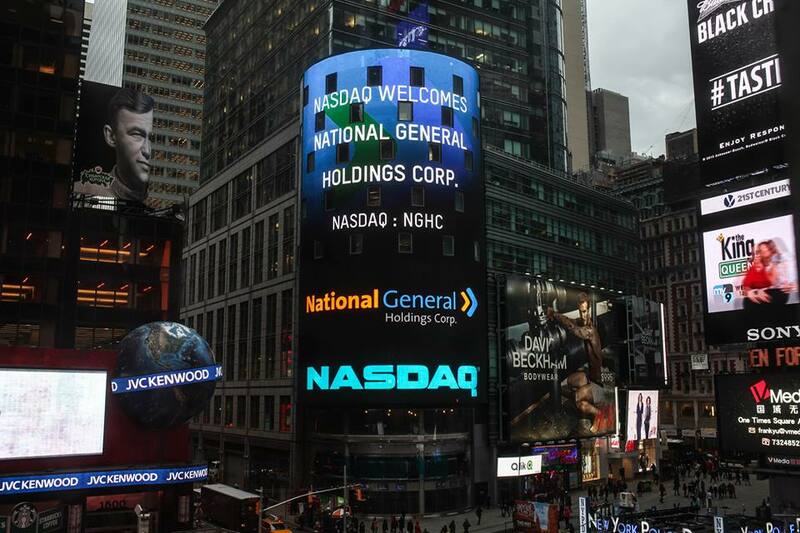 Congratulations to National General – looking good in Times Square as its listing on The NASDAQ Stock Market is celebrated. Proud to have designed their logo and be their partner. Winston-Salem, NC — “The List” from The Business Journal has named Wildfire The Triad’s third largest web design and development firm. The Web Design Firms 2014 list ranked 25 area agencies by number of Web designers and total employees. Wildfire has built, hosts and helps maintain over 100 websites. In addition to website design, we offer a variety of digital marketing strategies for clients including search engine optimization/marketing, social media and blogging. Wildfire was fourth on last year’s list. Winston-Salem, NC — Wildfire, a Winston-Salem-based integrated marketing communications agency, announces the expansion of their new recruiting division – WF Connections. The agency has six years of experience successfully placing qualified candidates with clients under the name Wildfire Marketing Contract Services. As a result of its continued growth, Wildfire now brings a new face to this division as they expand further into the search arena. With a talented team of Connection Specialists, WF Connections activates its large and diverse network, built on more than 20 years of contact development, to deliver long-term, short-term and temporary-to-permanent placements in the fields of Graphic Design & Production, Marketing, Branding & Communications, Finance & Banking and Human Resources. To determine best fit and provide a successful connection, the company uses a proprietary process that starts with client engagement and ultimately ends with onboarding the right talent. 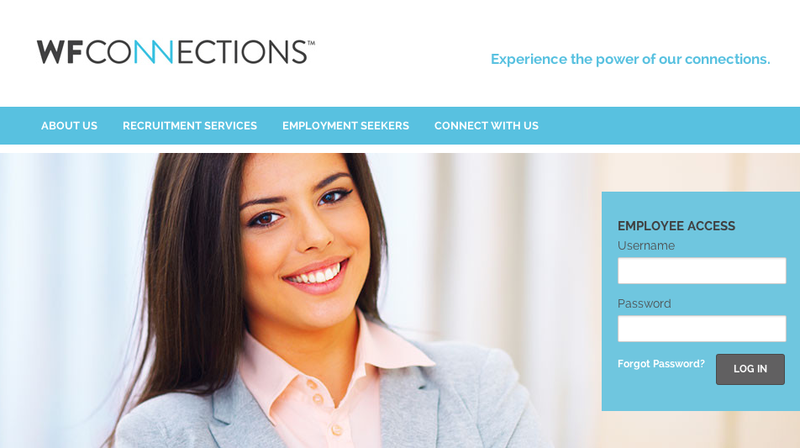 With this effective connection process, as well as its distinct emphasis on fit between individual and company, WF Connections has positioned itself as a new breed of recruiters – and is excited for clients, big and small, to experience the power of their connections. WF Connections is located in the existing Wildfire office at 709 North Main Street in downtown Winston-Salem. For more information, visit www.wfconnections.com. Winston-Salem, NC – Wildfire’s work with the Dixie Classic Fair on its “GO-FER the fun” campaign has recently been awarded several Hall of Honor Communications Awards from the International Association of Fairs & Expositions (IAFE). The IAFE holds the awards competition annually, with the purpose of improving the advertising and publicity programs of fairs throughout the world, and providing recognition of fairs with outstanding campaigns. The competition is divided into five divisions, based on fair attendance, and members of the Advertising, Promotions and Public Relations IAFE Committee, along with media and ad agency representatives, judge all of the entries across various categories. Each entry is based on several criteria, including whether it is motivational; informative; indicative of creative excellence; appropriate to activities, audience and media used; utilizing a central theme; and indicative of production excellence. This year, the Dixie Classic Fair competed in the IAFE’s Category 3 division, for fairs with attendance of 250,001 to 500,000. Its “GO-FER the fun” campaign featured the fun, food and competition that fairgoers look forward to each year, all brought to life by the fun-loving face of the campaign: Topher the Gopher. Winston-Salem, NC – Wildfire has received recognition for its Lowes Foods Chicken Kitchen packaging from The Dieline, the world’s top package design website. Chicken Kitchen is a new “store within a store” for roasted, fried or grilled chicken, flavored chicken wings, chicken salad and sides found in the deli section of Lowes Foods. The branding is a unique, one-of-a-kind, fun and slightly folk art-inspired, meant to grab the attention of kids and parents alike. Custom die lines based upon the chicken character playfully distinguish the packaging, “breaking the frame” both physically and visually. Kids boxes were printed with several different variations of jokes and kids’ games on the side, as well as a surprise here or there if you were to take a peek under the box. Ultimately the packaging is one element supporting a unique store environment boasting ‘chicken you’d cross the road for.’ In addition to the brand mark and packaging, Wildfire also created in-store signage, Menu boards and website. Both Wildfire and Lowes Foods are headquartered in Winston-Salem, North Carolina. On October 22, Triad NC AIGA hosted the Winston-Salem Studio Tour, giving local creatives an inside look at the Triad’s leading creative agencies—from graphic design and advertising, to letterpress and web development. Each studio was asked to open its doors that evening to showcase its space, work, and company culture, all within a pre-determined theme. Wildfire’s theme was—yep, you guessed it—“Fire Gone Wild”. And its presentation was nothing short of its name. From a fire-themed music playlist and spicy foods and drinks, to a fiery photobooth with the resident devil, a fire pit with s’mores, and a real-life fire spinner, Wildfire embraced all things fire and took the event by firestorm. 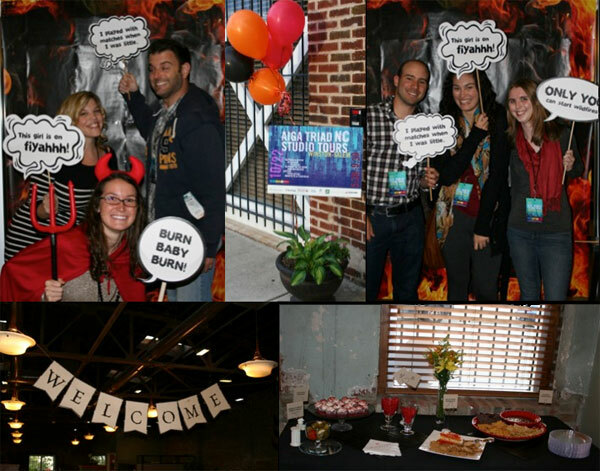 After the event, attendees were asked to vote for the top studio tour in the following three categories: Outstanding Theme, Coolest Office Space, and Best Experience. In its namesake’s true fashion, Wildfire burned through the competition and won all three awards. (Yes, you read that correctly. All three.) …Is it just us, or did it suddenly get all hot in here? Winston-Salem, NC —Local marketing agency Wildfire is currently featured in the online complement to leading trade journal Communications Arts magazine, commarts.com, for their brand identity work for Brothers restaurant. Creative pieces, including the new brand mark, visual identity, menus, uniforms and website, have been spotlighted within the site’s Exhibit feature, which showcases new and innovative projects in graphic design and advertising from around the world. The brand’s new identity is very much rooted in the balanced personalities of Brothers owners John and Buddy Milner, who originally engaged Wildfire as their agency partner in 2012 for their first restaurant venture, Milner’s American Southern. The restaurant’s new menu, featuring new American cuisine with a creative twist, has certainly lived up to the image as well. Brothers was voted Best New Restaurant in the 2013 Winston-Salem Journal Readers Choice Awards. Chief Creative Officer Mike Grice led the Wildfire creative team, including Anna Jacobs, writer, and Traci Naff, lead designer. Interactive Director Chip Crutchfield and Lead Programmer Matt Rowland led the web work. 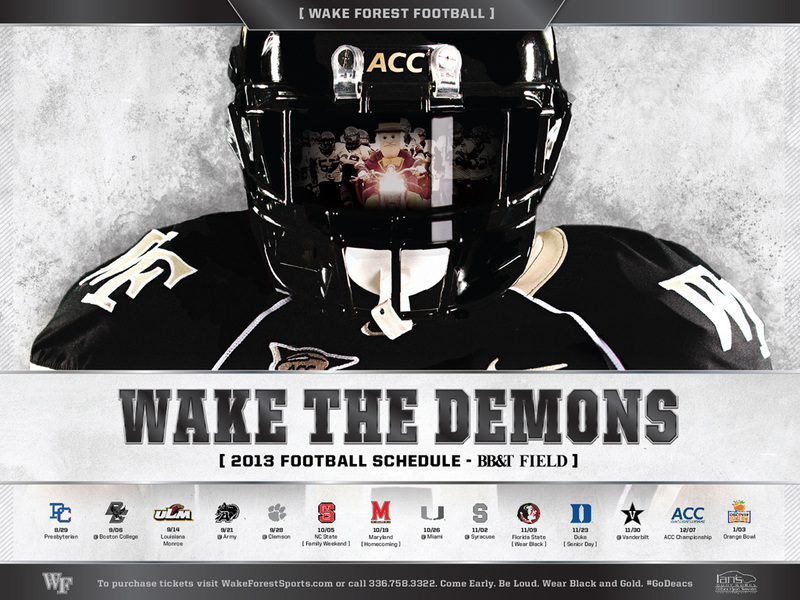 Winston-Salem, N.C. —The Wake Forest University (WFU) Football Schedule Poster designed by Wildfire, a Winston-Salem-based integrated marketing communications firm, was ranked number 2 in Bleacher Report’s list of The Top 50 Team Schedule Posters. Bleacher Report (https://bleacherreport.com) is a one of the most popular sports news websites with a growing monthly audience of more than 14 million unique users. Every year, the site collects schedule posters from football programs around the country and ranks them based on the five categories of School Spirit, Schedule Clarity, Photo Quality, Creativity and Awesomeness. Lead Wildfire designer Kaylan Hufham and team received a 9/10 in 4 out of 5 categories, with specific applause around the use of a reflection in a player’s visor to feature the team and mascot. “We set out to bring the Demon Deacons to life as a team, not just one player, in a creative and impactful way,” explains Hufham. Hoglund oversaw the project alongside Wake Forest Athletics Assistant Athletic Director for Marketing and Special Projects, Mike Odom and Wake Forest Athletics Director of Marketing, Bradley Keen. Winston-Salem – Wildfire, LLC was awarded the Truliant Small Business Award at the 127th Annual Meeting of the Winston-Salem Chamber of Commerce held at the Benton Convention Center. The award was presented by Truliant Federal Credit Union to over 800 business leaders at the event. It is the only meeting in the community that gathers CEOs and high-level corporate executives to discuss the Chamber’s key accomplishments over the past year. Wildfire is a marketing company that promises to grow its clients’ businesses while lowering their blood pressure and doing it with the highest quality strategic and creative products. Since its founding in 2002, the company has expanded to over 50 full-time employees and is the Triad’s third largest marketing-communications firm. Wildfire represents Hanesbrands, Inc, BB&T, Lowe’s, Wake Forest Athletics, Carolina West Wireless, The Army National Guard, Dixie Classic Fair, among others. In addition, the agency is active with various community organizations including AARF and the North Carolina Triad Affiliate of Susan G. Komen for the Cure®. Additional finalists included a/perture cinema, Concinnity Marketing & Technology, Davenport Transportation Consulting and Pro Benefits. Held in the North Main Hall of the Benton Convention Center, the Annual Meeting was sponsored by Cook Medical, Duke Energy and Truliant Federal Credit Union. The Greater Winston-Salem Chamber of Commerce is the leading business organization in Winston-Salem and Forsyth County, representing nearly 1,800 area businesses that are committed to increased economic development in the region. The Chamber is dedicated to establishing Winston-Salem as a technology-driven economic center, and provides services to strengthen existing businesses, support entrepreneurs, and encourage small business creation. The Chamber supports public school student achievement, workforce, and higher education development.